The Patriots will honor the newest member of the franchise’s Hall of Fame today. During a half time ceremony at Gillette Stadium the Pats will hold a ceremony for Raymond Clayborn. 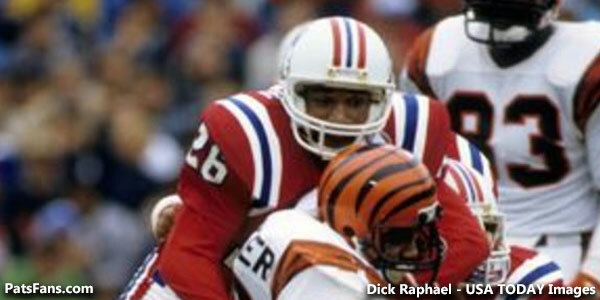 The legendary number 26 is coincidentally the 26th person to join the Patriots Hall of Fame. While I most certainly hoped Clayborn would get the nod this year, I wasn’t expecting it to turn out this way. 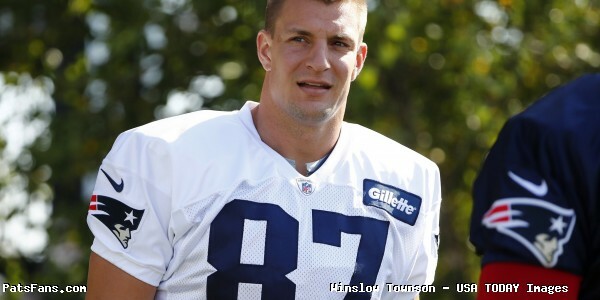 I was very pleasantly surprised that the voting by Patriot Nation looked beyond recent star players. Thank you to all Patriot fans who did a bit of research that resulted in Clayborn’s induction. Fans could have easily gone along with the more recent memories. Richard Seymour, a future Pro Football Hall of Famer in my opinion, was a finalist. 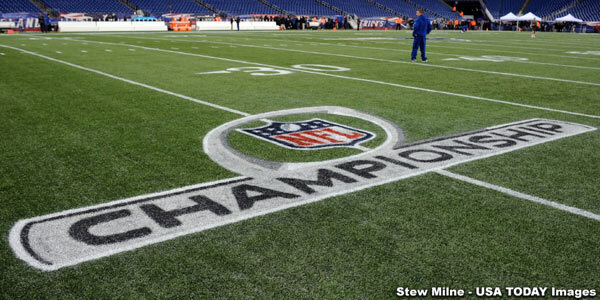 So was Mike Vrabel, a key defender for three championship teams, and one of the most versatile players in NFL history. Clayborn set the franchise record with 36 career interceptions (since tied by Ty Law). 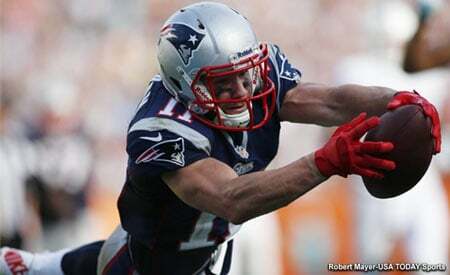 He returned three kickoffs for touchdown his rookie year, averaging 31 yards per return that season. Clayborn became a starter his second season and along with Mike Haynes combined for one of the best cornerback tandems in NFL history. Don’t take my word on it; consider what the Pro Football Hall of Fame CB had to say on the subject. Clayborn was a three-time First Team All Pro but stats alone do not adequately state his impact. He was part of a core group of players that turned the franchise around from the worst team in the league to one of the NFL’s best. Perhaps if he had a Super Bowl ring – which was earned but stolen away in the Ben Dreith travesty – he and some other players from the late seventies would have been held in higher regard. 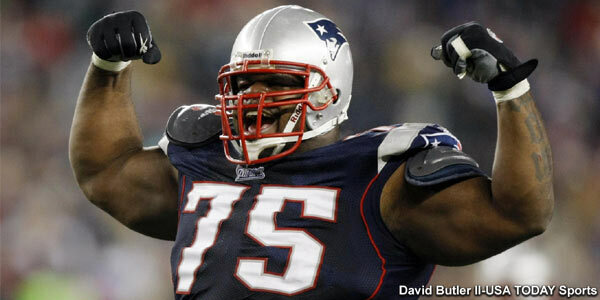 Clayborn played in a team record 161 consecutive games and was named to the Patriots All-Decade Team for both the 1970s and 1980s. Congratulations to Raymond Clayborn on this well deserved honor. This entry was posted in Patriots Commentary, Patriots Milestones, Patriots News and tagged 2017 Hall of Fame class, Cornerback, New England Patriots History, Patriots corner backs, Patriots cornerbacks, Patriots Hall of Fame, Patriots history, Raymond Clayborn on September 24, 2017 by John Morgan. 2017 New England Patriots Hall of Fame inductee Raymond Clayborn will be honored one final time this season in a special halftime ceremony at Gillette Stadium on Sunday afternoon against the Houston Texans. This entry was posted in Patriots News and tagged Patriots Hall of Fame, Raymond Clayborn on September 22, 2017 by Robert Alvarez. The New England Patriots formally announced on Monday that cornerback Raymond Clayborn had been selected as the 26th member of the teams Hall of Fame following a vote by the fans. 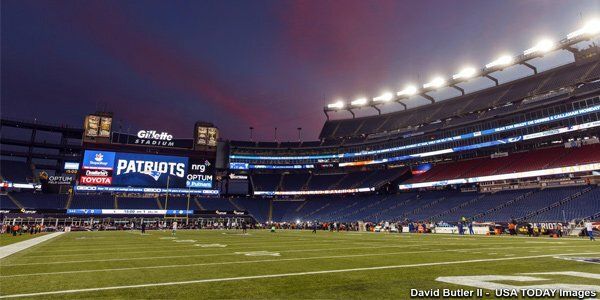 The Patriots will honor Clayborn in a special ceremony at The Hall at Patriot Place on a date to be determined around the time training camp opens. 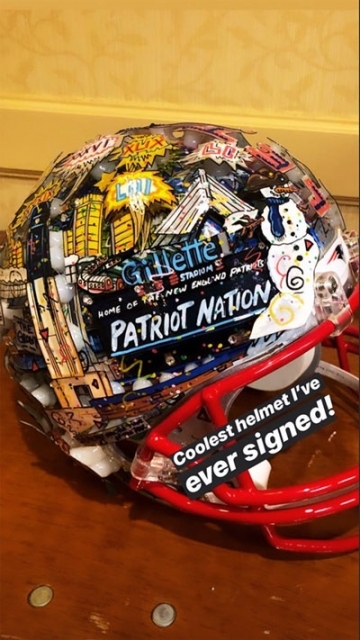 This entry was posted in Patriots News and tagged Mike Vrabel, Patriots Hall of Fame, Raymond Clayborn, Richard Seymour on May 22, 2017 by Robert Alvarez. 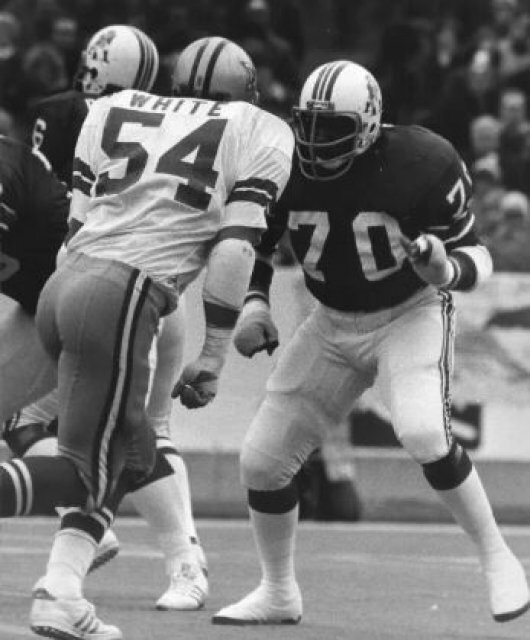 Arguably the biggest surprise of Wednesday’s New England Patriots Hall of Fame Nomination Committee meeting was the stalemate among voters between senior candidates Raymond Clayborn (cornerback) and Leon Gray (offensive tackle). The column goes on to point out how difficult it is for older players such as Clayborn and Gray to gain entrance to the Patriots Hall of Fame, because fan voting inevitably results in younger, more recently retired players winning that popularity contest. In regards to the ten-person senior committee, a nominee has to receive at least 80% of the votes. Neither side wanting Clayborn or Gray backed down, so neither got enough votes. Fred Marion and Ron Burton were the other nominees. Reiss has a rather ominous speculation for those of us that have lobbied not only for Clayborn, but for more consideration and genuine opportunity for those that were part of the franchise prior to 2000. It sparks the question of whether either will break the 80 percent senior threshold in the coming years to earn induction. Is it time to change the process for Patriots Hall of Fame? The time has come to at least reconsider the entire process for enshrinement to the Patriots Hall of Fame. It was a nice gesture by Robert Kraft to include fans by having them vote for the three finalists. That process however has proven to be flawed. The most recently retired players are fresh in people’s minds, and garner more votes. Older players don’t stand a chance of recognition. Maybe the roles should be reversed. Have fans vote for the nominees, with a maximum number on the players and/or coaches from each decade. Then send those nominations to the entire committee to be pared to three finalists. Have the entire committee reconvene and vote on the winner. Make the whole process transparent by making the votes public. We already waited too long for Houston Antwine, Jim Nance, Julius Adams and Chuck Fairbanks to be honored publicly, before they passed away. 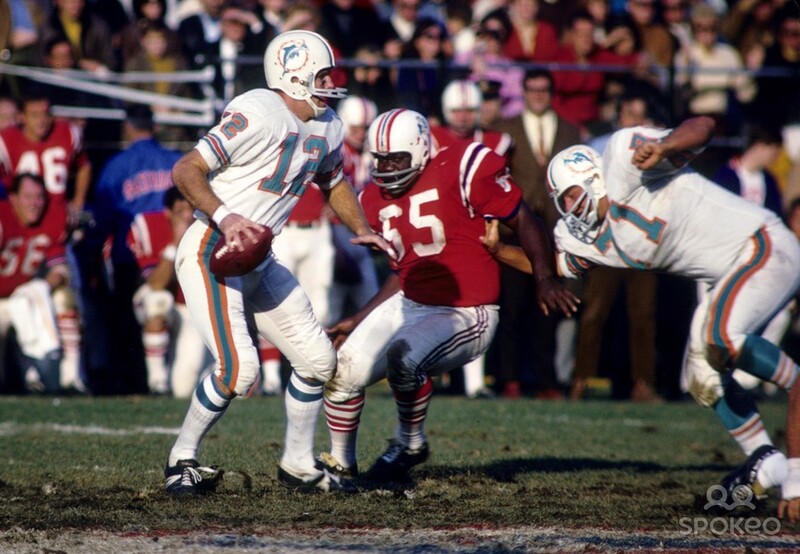 Let’s not let that happen again with Raymond Clayborn and other Patriot legends. 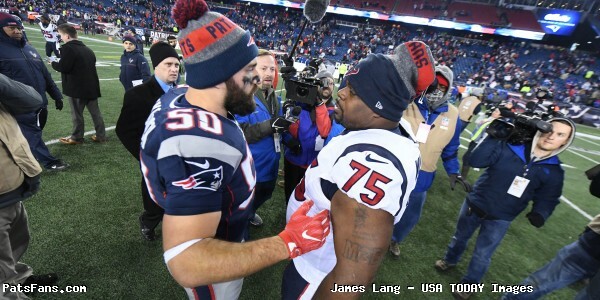 This entry was posted in Patriots Commentary, Patriots News and tagged Boston Patriots, fans, Houston Antwine, Jim Nance, Julius Adams, Mike Reiss, New England Patriots, New England Patriots History, Patriots, Patriots fans, Patriots Hall of Fame, Patriots history, Pats, Pats Alumni, Raymond Clayborn on April 12, 2017 by John Morgan.